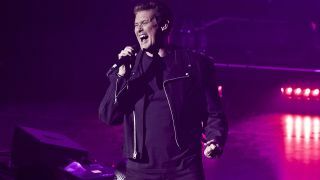 Actor and singer David Hasselhoff has revealed that his next album is going to be a touch heavier than his previous records. He’s might be better known worldwide for his roles in TV shows including Night Rider and Baywatch, but The Hoff has enjoyed a successful music career across Europe. And in a new interview with Zeit Online, Hasselhoff says that he’s planning on giving his new record a metal edge. And you never know, perhaps Ministry mainman Al Jourgensen will make a guest appearance on the album. After all, he and DJ Swamp teamed up in October last year with to remix The Hoff’s cover of Neil Diamond’s Sweet Caroline. We can’t wait to hear what’s in store!